especially Koreans or fans of the Korean kitchen. As a few of you might have seen I was out to enjoy a Korean dinner with my friend and it was really good. We had vegetable kimbab and bulgogi (pork). We enjoyed it so much (even though it was expensive) that we decided to go again with a few more people. Probably like 4, 5 at best. I know that there are no courses (food) in Korea, but I will still refer Kimbab as appetizer and bulgogi as a main course in this blog. So, as I mentioned we want to go out with 4/5 people and have a typical korean meal, with appetizers , main course , side dishes and a dessert. Just a well filled table with lots of stuff we can enjoy. Everyone can try something etc.. So, there's basically anything in that Korean restaurant. 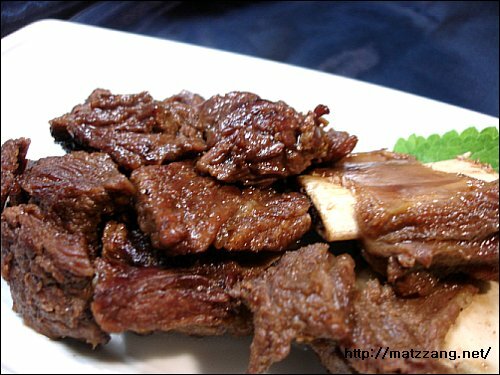 Its tradionally Korean, so please help me setting up a good dinner for my friends and me. Also I'd like you to post pics and maybe a small describtion of what it actually is. (Not everyone knows what a Yuk Gae Jang soup is). What I'd imagine (must be included). Well... I appriciate any help, thanks ! 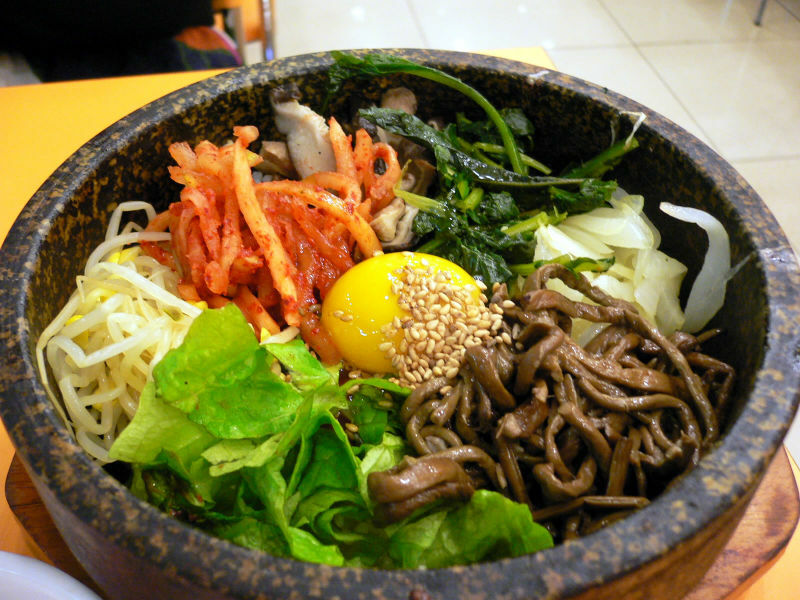 yuk gae jang and bot ssam don't seem like very foreigner friendly foods... have you tried them before? galbi/bulgogi is the foreigner version of overly sweet kbbq. 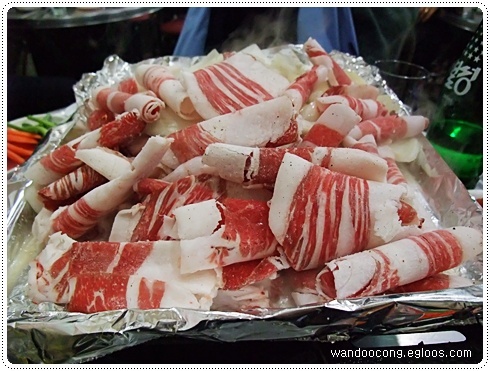 get the non-marinated meats like saen gyup sal (beef) and cha dohl beh gi (pork). Why aren't Yuk Gae Jang and Bot Ssam (did I mention Bot Ssam? I don't think so, also I can't find it with google) foreigner friendly foods? And I also can't find cha dohl beh gi... :S! Also, maybe a Korean can translate those things into hangul, so I can write them down and just give the restaurant guy a list :-)! YOU MUST GET KOREAN BBQ. Well, I just ASK for food. I mean obviously I'll also get that (and update this blog with pics..^^) but I don't think the food at your place is bad..? Chadol Baegi is a side-dish, right..? Also, do you also put it on the grill? 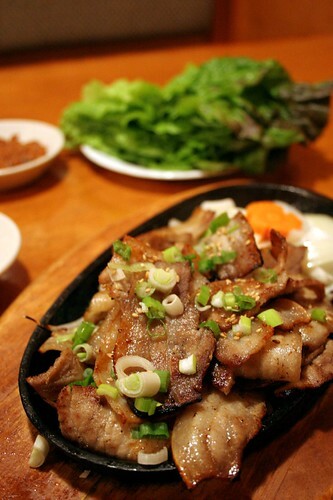 I think I'll add Samgyeopsal (삼겹살) to the list.. :-)! I don't think of kimbap as an appetizer, when I have some, I have a bunch and it's pretty much the whole meal. Thanks, you are awesome. Cha Dol Bae Gi doesn't look too good to me. I guess you need to grill it :O! I dunno, pajun is a good appetizer I suppose, but the side dishes are all provided for you and they come out way before the main meal. They also vary depending on the restaurant, but it's more or less the same, like kimchi and tofu and stuff. Better restaurants give you more variety ^^. I think that these might be refillable too, I don't ask for more than they give but I think you are allowed to ask them to refill stuff, at least from what I've seen in New York and Korea. 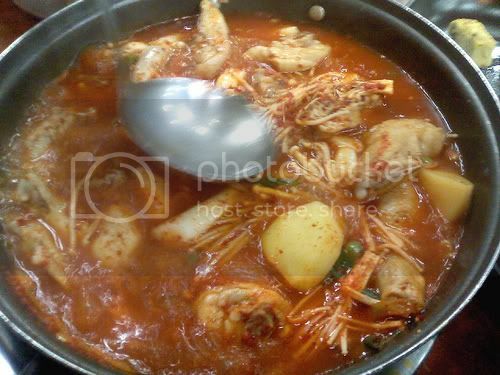 Also, after I eat meat like galbi, I like to eat 물냉면 mool naeng myun which is a kind of watery noodle dish. It's pretty good, but it might be overkill. Samgyeopsal / Chadol baegi .. are not main courses right? I'll already go with 1 friend (again^^) tomorrow.. so need a main course again ;-)! If you order enough of it, I suppose they could be a main courses. So desserts are not common? Also.. where we ate last time, they brought 8 side dishes for 2 persons (2 main dishes) in pretty small bowls.. so thats why I would like to order a seperate side dish. Edit: AAAALSO VERY IMPORTANT!! We don't want to act like fools .. so.. are there any rules concerning behavior? I can't speak for others, but I don't normally eat dessert after dinner. There aren't any set rules, just be polite and don't be too loud, just like any restaurant. They'll probably be aware that you aren't Korean, assuming that you don't have yellow skin, so it's not like they're going to expect Korean etiquette.